Anyone who is involved in Internet marketing will have done, know or heard about keyword research. While this is not a new topic, there are still plenty of people who are unsure about keyword research and how to go about doing it. Keywords are words or phrases that people used to find material in the Internet. Keyword research is a way to find out what words people are searching and how frequent each word is being searched. Why the need for keyword research? Find out what people are searching, and then personalize our web pages, products and services to cater to these people. Find out the profitability of a market. 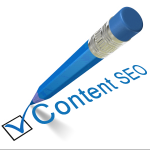 Optimize our web pages for profitable keywords and achieve high ranking in the Search Engine. Find effective keyword to bid in pay-per-click advertisement. Who need to do keyword research? Webmasters who are optimizing their site for the Search Engines need to carry out keyword research to find out the keyword they should use so as to achieve a high ranking. The objective is simple: Research a keyword for every single page of the site. The keyword should have a good level of interest from the public and able to give them a good chance to rank well in the search engine. Niche marketers are always on the lookout for untapped markets with huge profit potential. They are constantly going through the keyword search list to locate any available opportunities. Their keyword research strategy is to zero in on markets that have high volume of searches with low number of competition. The objective of PPC advertisers is simple: to drive maximum traffic using the lowest cost possible. As such, PPC advertisers are constantly looking out for cheap keyword to bid on. Proficient PPC advertisers often have the ability to uncover huge list of overlooked, yet relevant keywords for their PPC campaign. On the contrary, Adsense publishers are looking for expensive keywords which will pay them the highest possible amount. When do you need to do keyword research? Before you decide on your website theme and marketing plan. During the process to check if your audience interest is still there. After your website is up and running so that you can test and tweak the various keywords for better result. Where can you do keyword research? Wordtracker is one of the major players in providing keyword research service. It provides a subscription based keyword research tool and allows you to perform thousands of vertical and lateral search within seconds. It is the favorite keyword research tool for many Internet marketers due to its huge database and comprehensive result. Another major player is Keyword Discovery. They have a huge keyword database gathered from over 200 search engines Worldwide and give a wide range of keyword analysis data for their subscribers. Keyword research is a big topic and this post itself is definitely not enough to cover the whole topic. Meanwhile, feel free to leave your comment and let me know what you think.